A White Sport Coat, A Pink Crustacean and A Book With No Name. 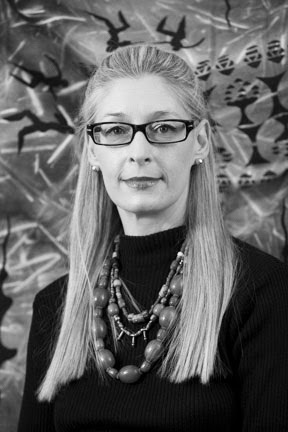 It is my pleasure to welcome good friend and fellow Mesdame of Mayhem Lisa de Nikolits to BAD GIRL. 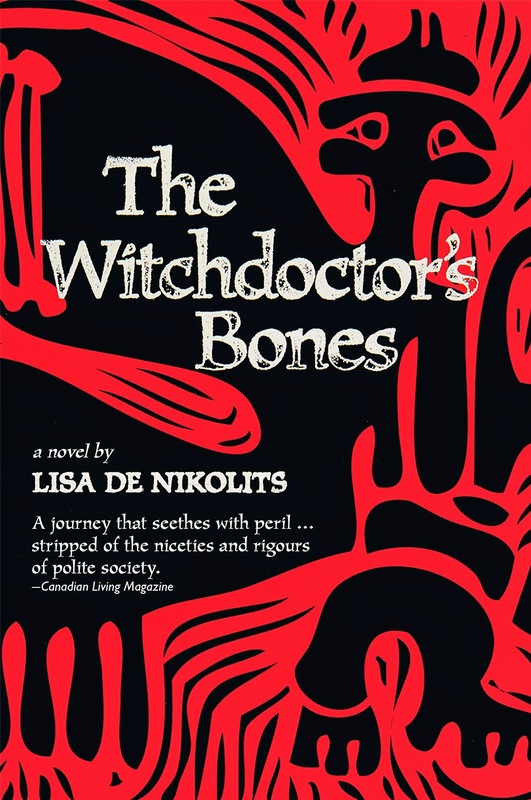 Her book, THE WITCHDOCTOR'S BONES is on my 2014 Top Ten list. It was a beautiful day. Road trip, upstate New York, my husband at the wheel, blue skies above, scenery pretty as a picture. Silence fills the car. Well, not exactly silence, Jimmy Buffett is blaring merrily and my husband is humming along. How can he be so happy when I am in the throes of such torment? I take off my shoes, put one foot up on the dashboard and consult my notepad. Firm shake of head; no. I start thumbing through my dictionary, yes, a real printed book version of the thing. “No. No shadows or sun.” My husband has moved on and is blithely singing along and grinning at me. Such joy. He nearly swerves off the road. “No! Sounds like a courtroom drama.” He carries on singing and I want to swat him with the dictionary but hold myself in check. He has already rejected these gems: Turn From The Sun, Black Against The Sun, A Feast of Sand and Poison, A Feast of Thorns, Bad Magic and Banquet of Poison. “Well then, not a chapter name but there must be something in the book… wow, look at that old Chevy…” He segues into a long ramble about classic cars, which, under other circumstances, I would actually find interesting. But since he isn’t talking about The Book, his utterances are no more than white noise. The CD, A White Sport Coat and a Pink Crustacean, comes to an end. “What do you want to listen to?” He asks. I shake my head. “I don’t care.” I am mournful. “I’m never going to find the right title. This has been going on for months.” I hang my head. “You’ll find it, you always do.” My husband’s confidence is very annoying. “Easy for you to say,” I snark back. Yep. I’ll be honest, I’m the one being annoying and why he doesn’t ditch me at the side of the road and drive off with Living and Dying in ¾ Time blaring loudly, is beyond me. My husband, having heard this more than once, tunes me out but I’m talking more to myself than him anyway. My husband’s interest in the conversation is reawakened at this. My husband grins. “It’s a good name,” he concedes. My husband shook his head. “Bones are better,” he says. Particularly note Get it Written! - this presentation with full AV covers material from the first two classes of my Sheridan College course, Crafting a Novel 1. 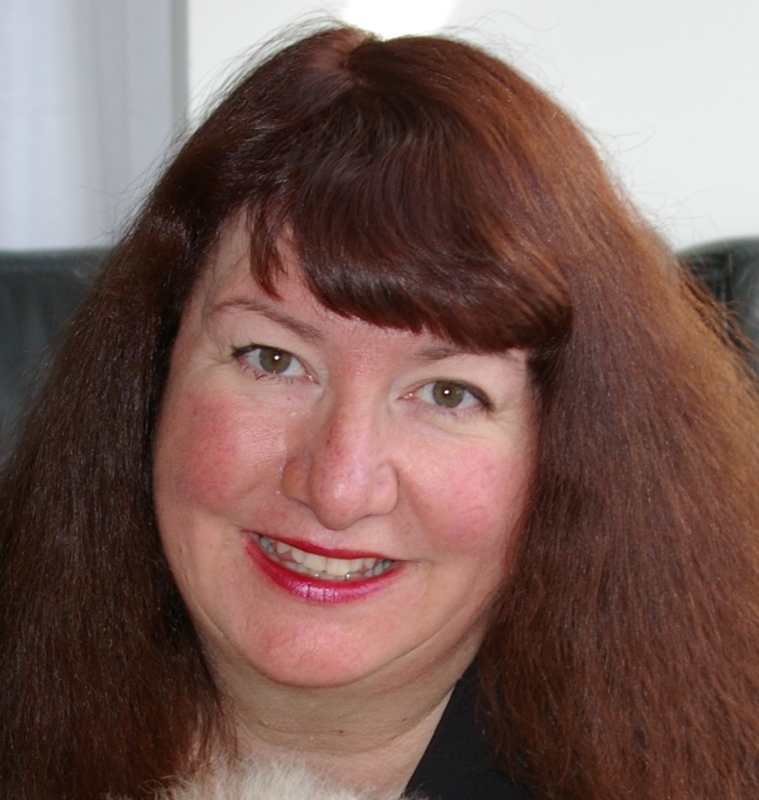 Also join CWC RVP Susan Calder and I at the CWC Crime party on Saturday night! All welcome. ROWENA AND THE VIKING WARLORD "a startling climax that gives a sharp new edge to fantasy writing"
Rowena and the Viking Warlord. The writing is the polished style of an award winning writer. Campbell’s off-the-wall humour has an added feature…she builds the wall first with the zesty timing of a great one liner. The fantasy is seamlessly integrated with the fiery pace of ‘to the death battle’ that’s tinged with the regret that lost life is a given in war. This reviewer doesn’t pretend to be a fantasy aficionado, but is a reader of well written, enticing story telling. 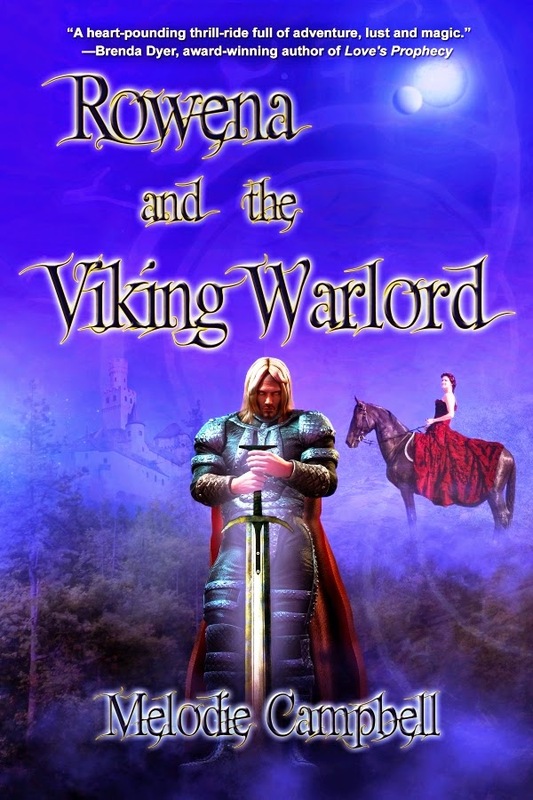 And Rowena and the Viking Warlord is an intriguing story told with the passion of a fine writer. I’m the Executive Director of a well-known crime writing association. This means I am also responsible for the Arthur Ellis Awards, Canada’s annual crime writing awards night, and the resulting banquet. ROWENA THROUGH THE WALL and ROWENA AND THE DARK LORD on Sale! I cannot smile today. My dear friend has died, and all I can think of is this poem by W. H. Auden, meant for a lover, but equally appropriate for a friend. Postscript: Five weeks ago, Lou Allin flew from Sooke BC to Toronto to present me with the Arthur Ellis Award, the very award that she herself had won the year before. She was not well at the time. You don't forget friends like that, ever. ROWENA AND THE VIKING WARLORD Rocks the Dark Ages! Why Fantasy? Why Funny? It’s all in the aide of a good story. I write humorous early medieval time travel stories. Okay, what does that mean exactly? First, I write to entertain. You’ll get a rollicking adventure story, akin to The Princess Bride, only this time with a woman at the helm, when you read the Rowena books. You’ll get some laughs, because I’m a former comedy writer (stand-up) and can’t restrain that part of me. You’ll also get some historical accuracy, in the form of how people lived in the dark ages, what weapons they had and what their armor was like. But the exact history of early Great Britain doesn’t lend itself well to my wacky time travel stories; it is perhaps too well known and too grim. So what you get with the Land’s End series is a bastardized version. An ‘alternative’ history that lends itself to a funny, rollicking adventure. WHAT IF…is the basis of most fiction, and definitely fantasy fiction. I love to play with those two words. WHAT IF… a prolonged war in medieval times wiped out almost all women? What would the land be like after several years? And what would happen when one modern young female from the 21st century falls through a time portal into that world? Yes, it’s the ‘Stranger in a strange land’ plot, written by a comic. I take “A Connecticut Yankee in King Arthur’s Court” and go wild with it! But I don’t neglect history entirely. In ROWENA AND THE VIKING WARLORD, the third book of the trilogy, there is a Viking invasion of Land’s End. Yes, a Viking invasion of Saxon land. Sounds familiar…in fact, an awful lot like what really happened. And why my hair is red. ROWENA AND THE VIKING WARLORD immediately #1 Time Travel Bestseller! On sale now in all formats. ROWENA AND THE VIKING WARLORD #1! ROWENA AND THE DARK LORD #4! ROWENA THROUGH THE WALL #5! 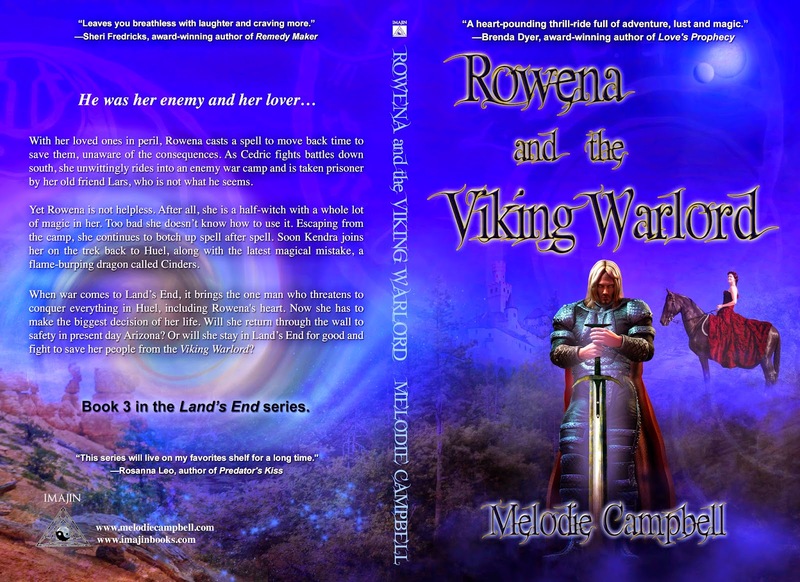 ROWENA AND THE VIKING WARLORD BLOG TOUR! In Rowena and the Dark Lord, book 2 of this series, Rowena returns to Land’s End. There, she learns more about the ancient world through the wall from which her mother escaped to Arizona, long ago. Things are not well in Land’s End. Due to a witch’s curse, no females have been born there in more than fifty years. Rowena’s Grandfather is ailing, and Cedric, her distant cousin and feared husband, now rules Huel. Cedric is a master mage, a follower of the dark arts. Through his teaching, Rowena discovers her own powers of magic. But she is still in her infancy as a witch and makes mistakes. First, she conjures a Roman Legion out of time. Then, she turns back time to save the lives of those she loves, including Thane. When we left Rowena and the Dark Lord, time had shifted, and the true cost of Rowena’s spell had not been reckoned. Now, the price must be paid. War has come to Land’s End, and even Rowena can’t avoid it now. Come with me back to Land’s End, and meet the man who threatens to conquer everything in Huel, including Rowena’s heart. Her enemy and her lover…the Viking Warlord. Vikings are poised to invade Saxon Land's End. But there is humour, even so. After all, this is Rowena we're talking about. Wish I were a wizard, I muttered to myself. “Don’t touch that!” I yelled. He raised a hand and ZAP! The plant collapsed into ashes. I sighed. Then I looked around furtively to make sure nobody saw that. Yup. Lots of icky thorns. There was a whoosh behind me, and then some vulgar cursing. A man stood on this side of the wall. He was tall, with wide shoulders and massively muscled arms. Red-gold hair streamed down his back. He wore a dark green tunic with leather belt and dagger, but no armor. He was absolutely magnificent, and I knew him well. He laughed, a throaty, good-natured bellow. "By the gods, what a ride!" I stared, mouth gaping. Cedric on this side of the wall? In Arizona? "How did you get here?" I blurted. "The same way you did. I followed you through the portal." His head whipped from side to side. One hand was on his dagger hilt. I could see he was assessing the place for danger. Instinct, of course. Crap. Crapity crap. Cedric was here in Arizona. And Thane was way the hell up north in some blasted field, a whole wide world away. Thank God there was no one around. How the heck would I ever explain a medieval warrior-knight in my classroom in Scottsdale, Arizona?